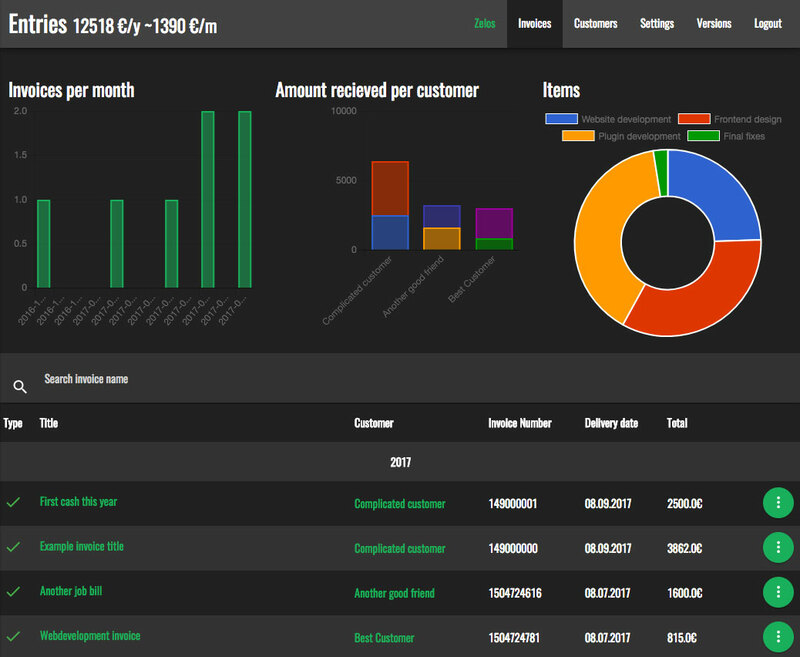 Invoices, customer lists and data for freelance software engineers. Intuitive usage. You just enter you items, select or create a customer and hit tab and generate a PDF. 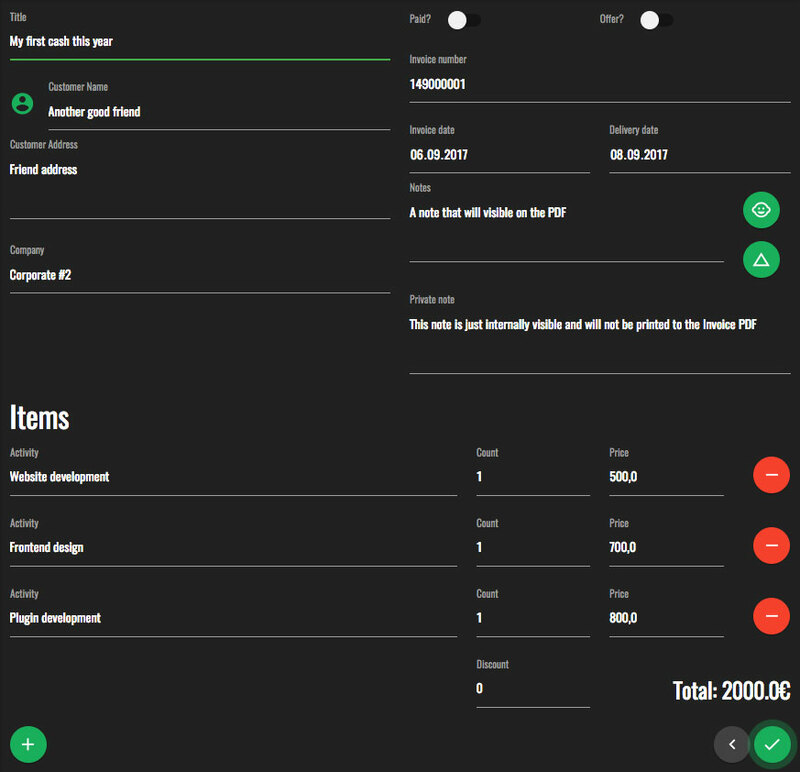 No standard invoice templates, with just a bit knowledge of html/css you have full control. With Zelos you use an open-source software. Nobody gets rich and we won't destroy the rainforest. All important data in one app. Create an account and test the app. 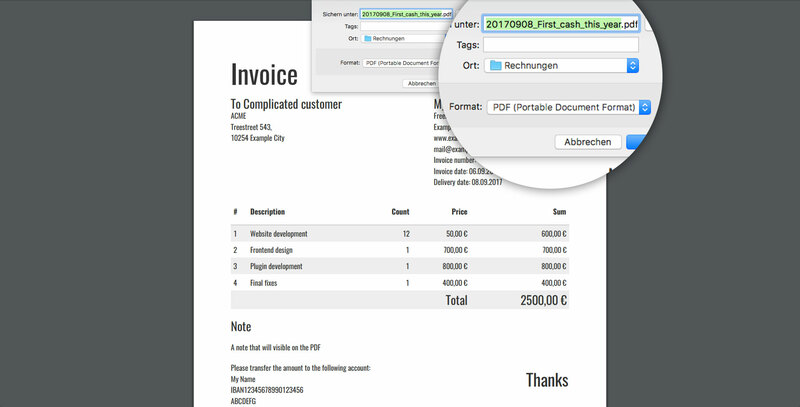 Automatic generated invoice number and optimized pdf filenames to keep the overview who ows you money and how much. You are still on the landing page. This open-source-software is still in beta and under development. If you find any bugs or improvements, create and issue on Github. If you want to help improve - fork the project and give me a pull-request.